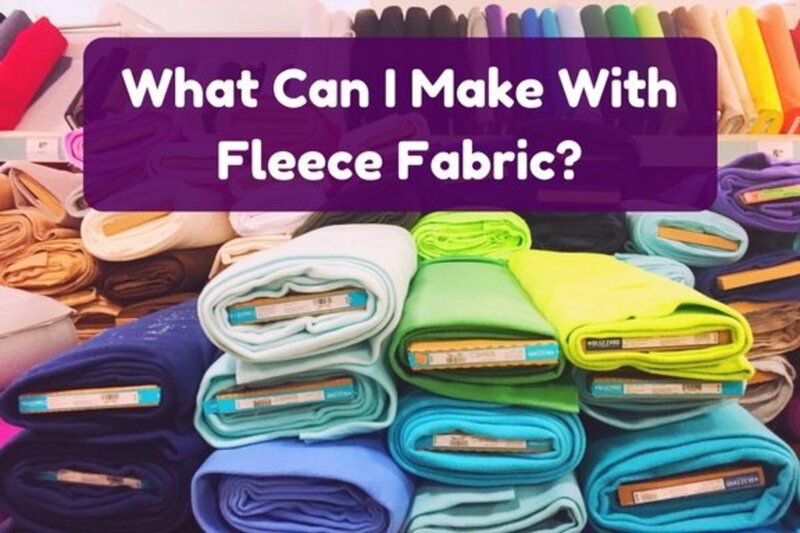 What Can I Make With Fleece? That's a great question! 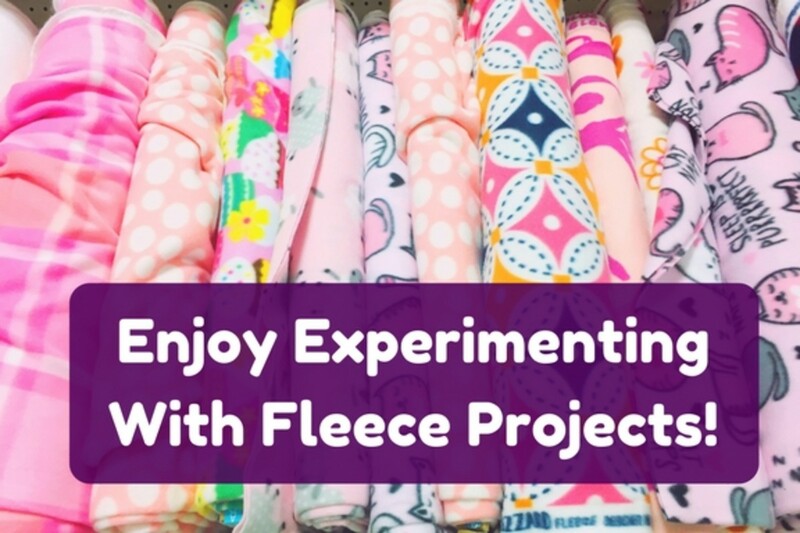 Many easy projects can be done using fleece, and I'll share quite a few lovely ideas with you below. This particular fabric is a breeze to work with, and there is a variety of sew and no-sew projects you can tackle. Learn how to put a beautiful fleece cardigan together. The creator made hers in less than an hour! 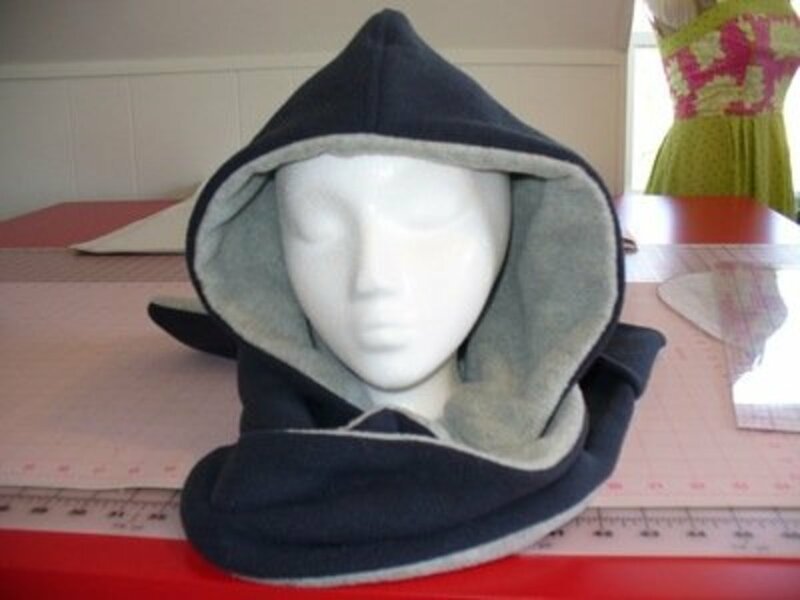 This scoodie is a great present idea for friends who live in cold weather. Find the tutorial at Becca's Crazy Projects. Fleece is such a nice, fluffy, and warm fabric. This makes it an ideal material to use to make cozy mittens. The two times of the year this scarf could be worn in my part of the Midwest is in the early spring and fall. 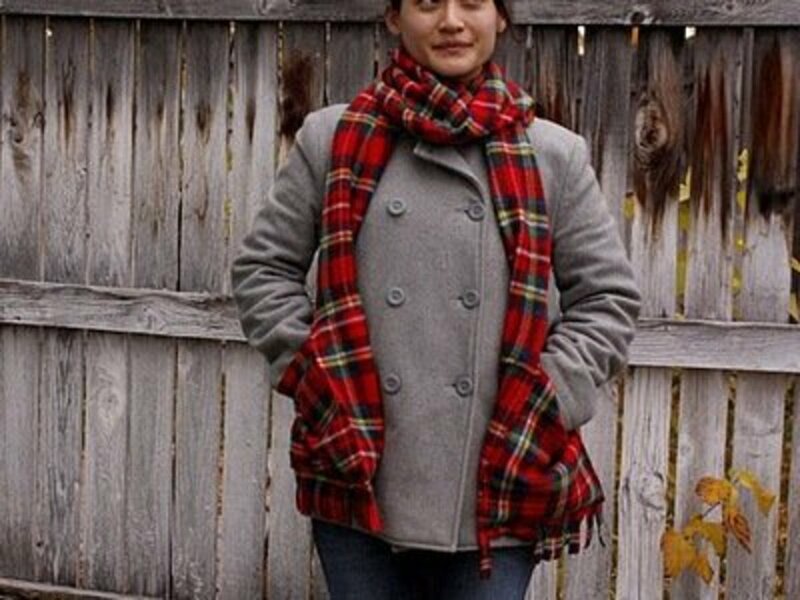 I love the idea of adding pockets to a warm scarf, and I plan on making this myself. I think these arm warmers would look so nice worn with a fleece poncho. On chilly days, it'd make my day to wear some cozy fleece on the arms. These arm warmers are very attractive to boot! A cowl scarf is another gift that is appropriate for both women and men. 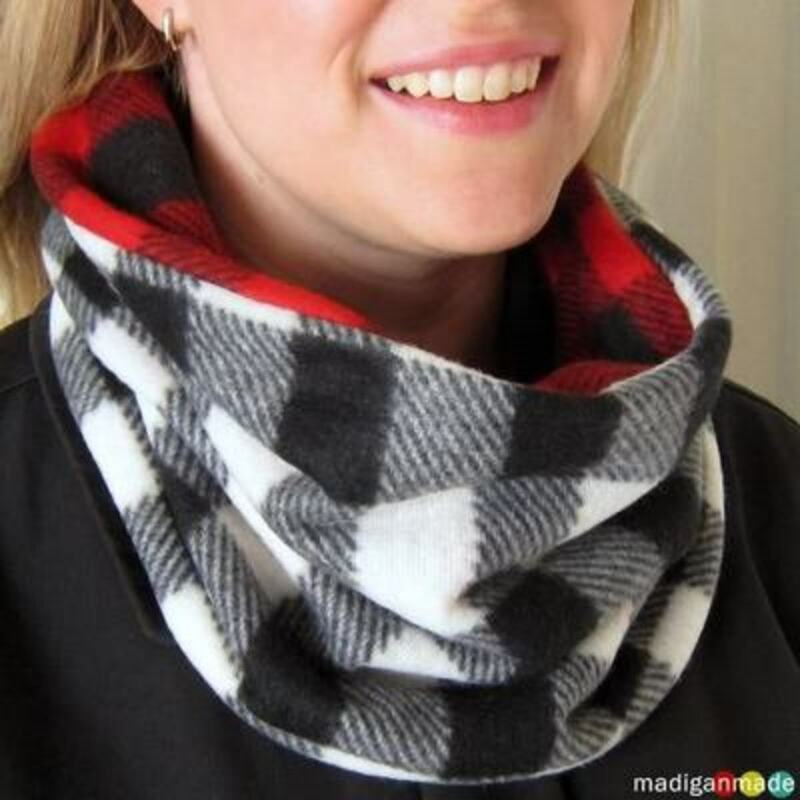 I think that the fact this cowl scarf is reversible makes it easier to style. Simply flip it inside out to better match your outfit of the day! 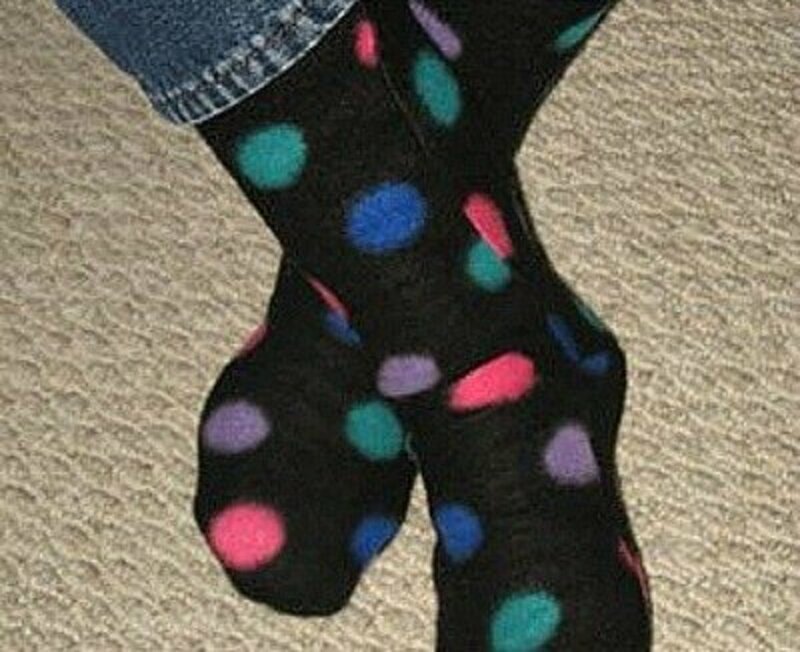 I could really use a pair of these fleece socks right now. The weather is nippy out this morning, and I just noticed that my feet are cold. Let's get busy making these to fight off the chils! 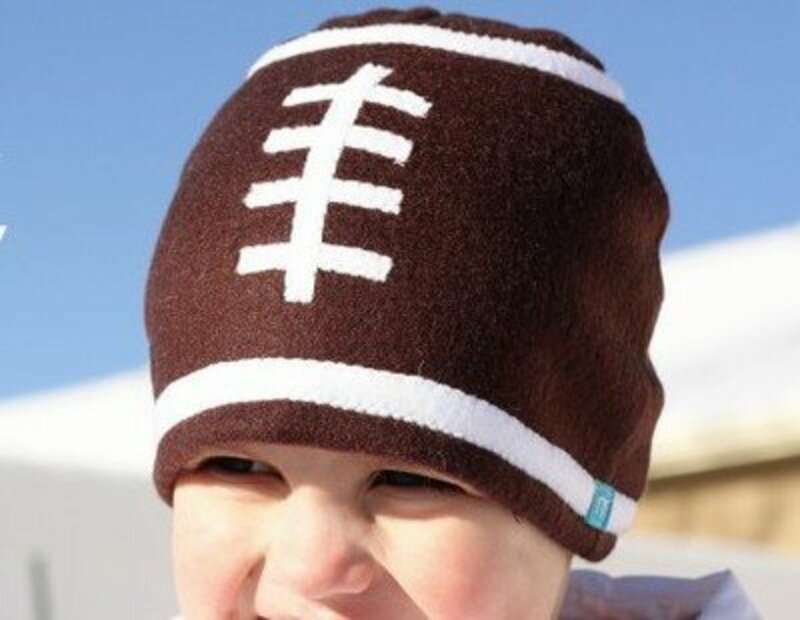 Both little boys and their daddy will love thisfleece football hat. 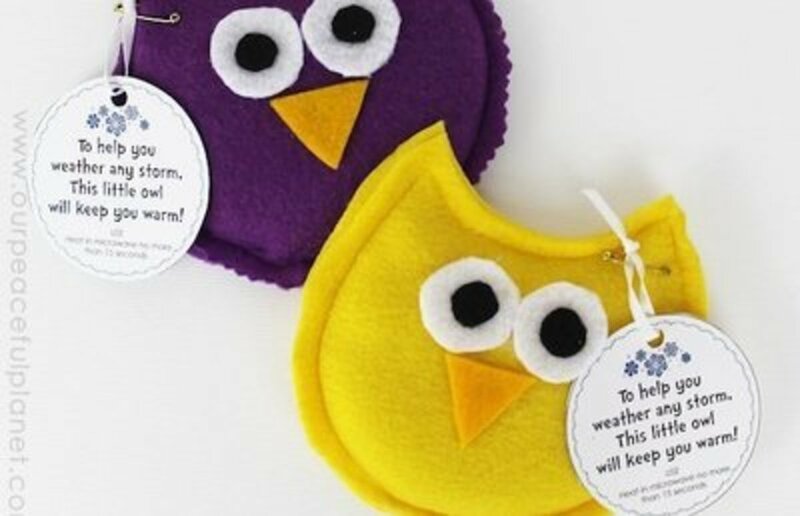 This super cute little project would make a great craft to do together before watching a football game. This fringed scarf is unbelievably fun! It can be put together in just a half hour, which means you can put it together while your baby naps or if you have some time to kill. For a small and lightweight accessory, this slit-fleece scarf is perfect. Sometimes, you want a scarf more for the color than for the warmth. Learn how to make your own ear warmers and keep your head insulated in the snow! 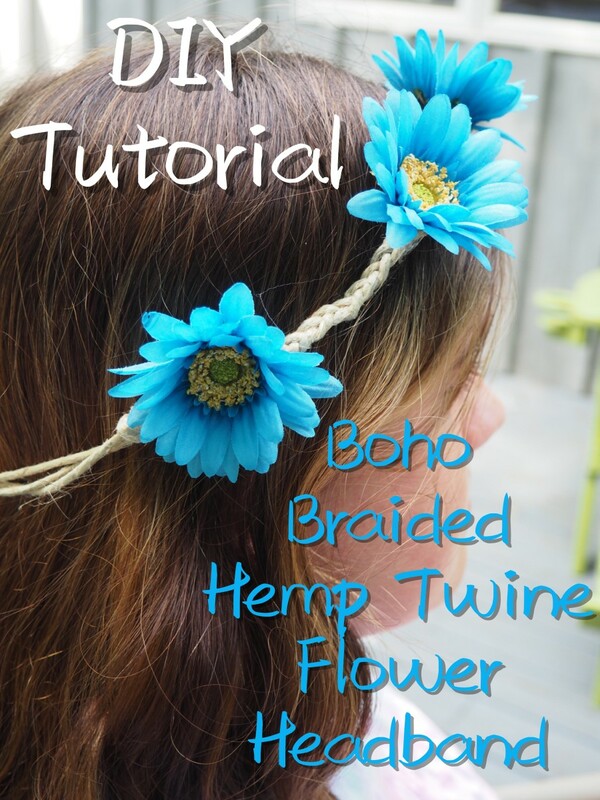 You can also use it as a headband while you get ready for bed. Have fun choosing the fabrics to match your wardrobe! 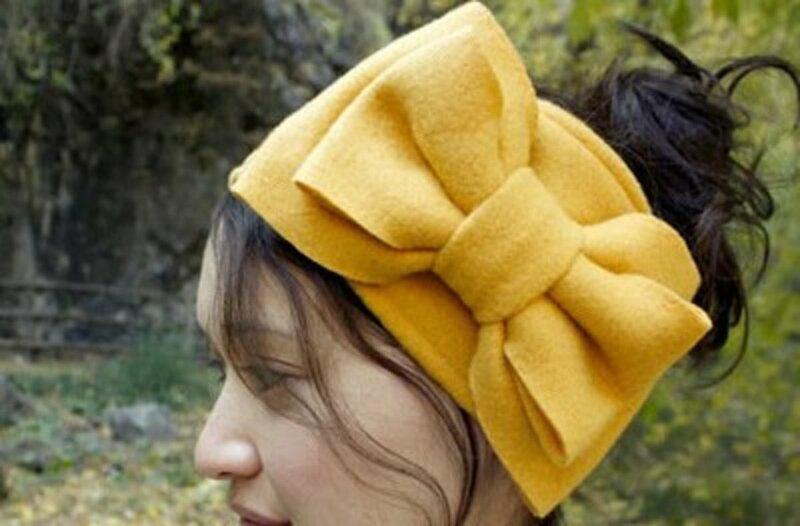 This bow headband is a beautiful take on the headband. You'll need to use some fabric glue to attach the enormous bow. This is such an attractive and stylish headband that I think most any gal would love to wear it. You can finish one typically in an hour or less, but this depends on the type of design and embellishment you want in the final result. Who wouldn't love to receive a monster pillow as a gift? Any person, whether a young child or a grandparent, will appreciate the love included in a handmade gift. 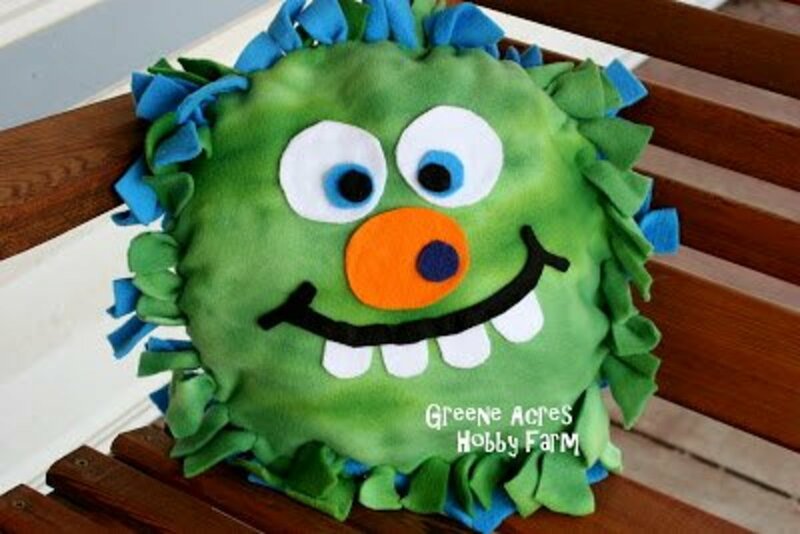 Greene Acres Hobby Farm shares how to put this lovable creature together. 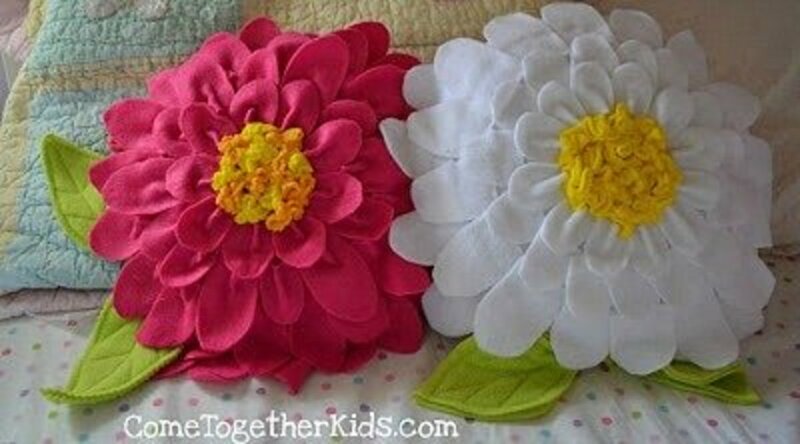 A flower petal pillow would be a lovely and delicate gift to give to a teenage girl. You can put this together with a little time and love—they'll adore it! 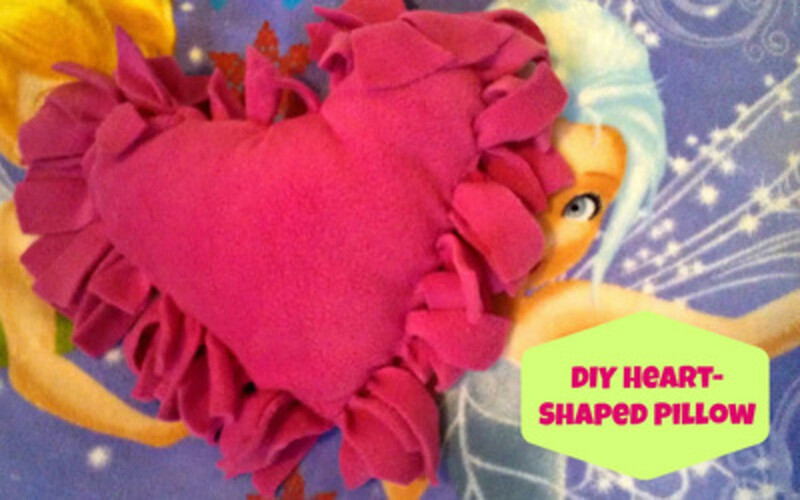 What would you think of making this heart pillow to give as a Valentine's Day gift? You could combine it with a box of chocolates and a sweet card to make a complete gift bundle! 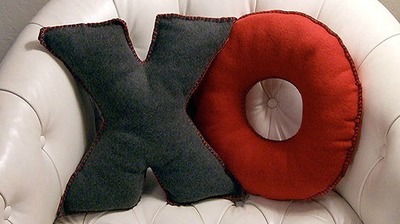 Of course, the "x" and "o" letters are perfect if you are going to give these alphabet pillows as a Valentine gift. 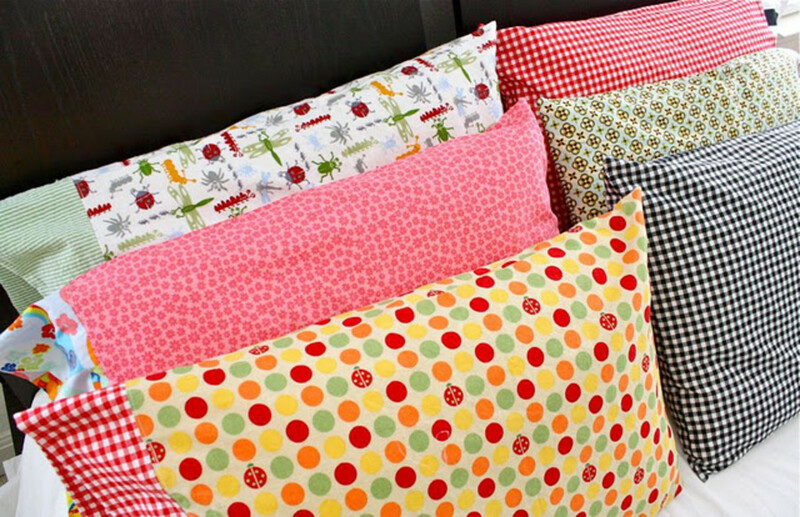 You could also use your initials for the pillows. 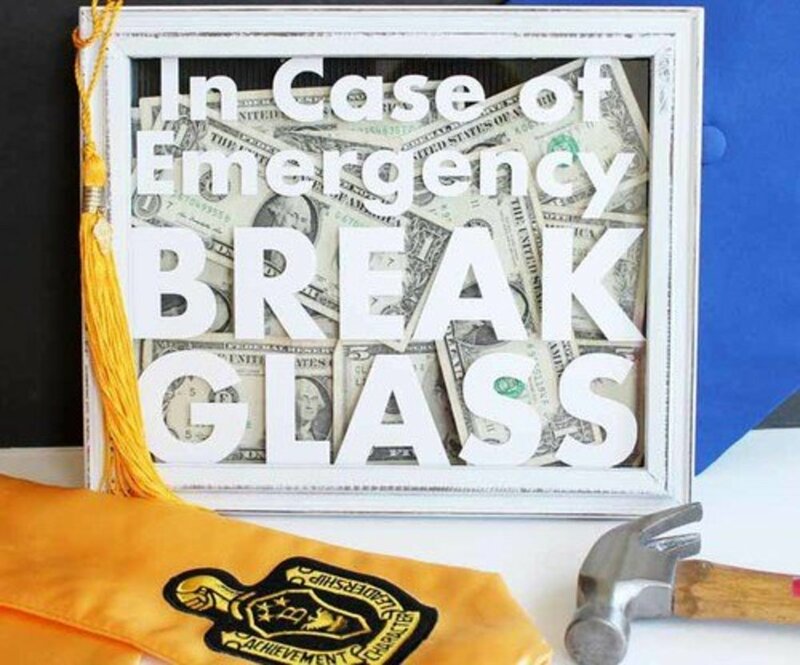 This would be a nice gift idea for a girl's room or for a college dorm room. 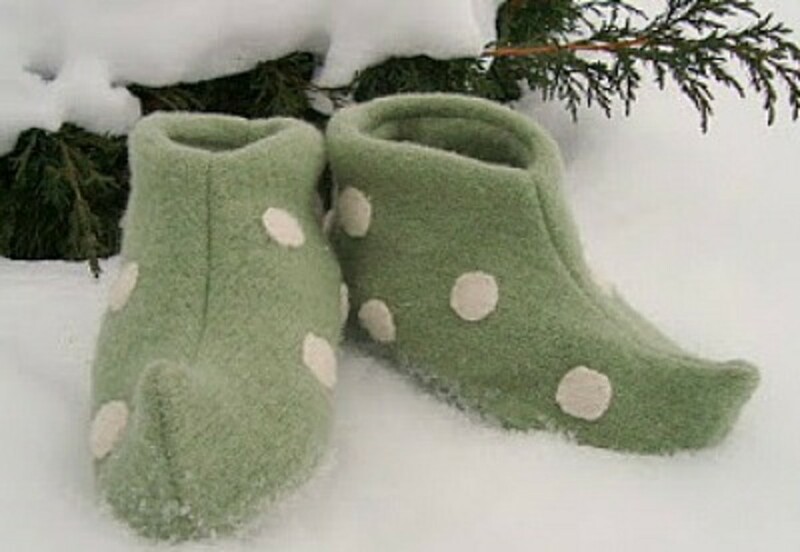 You might make these to wear on Christmas day, but I imagine they'll keep toes toasty for many more days of the year. Learn how to put them together at maya*made. 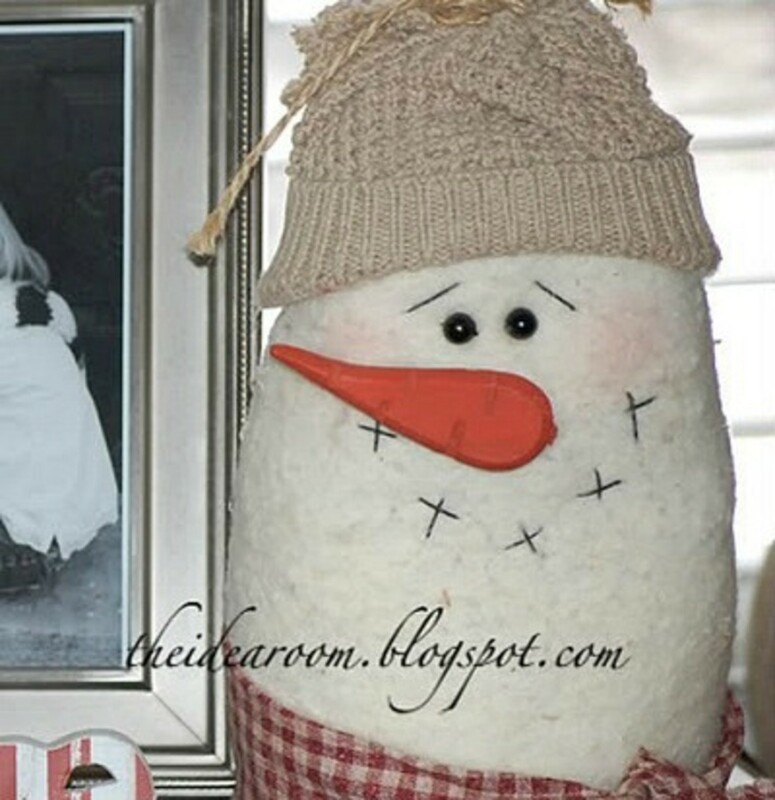 This large snowman can be used on a shelf or mantel, or it could be styled as a pillow. 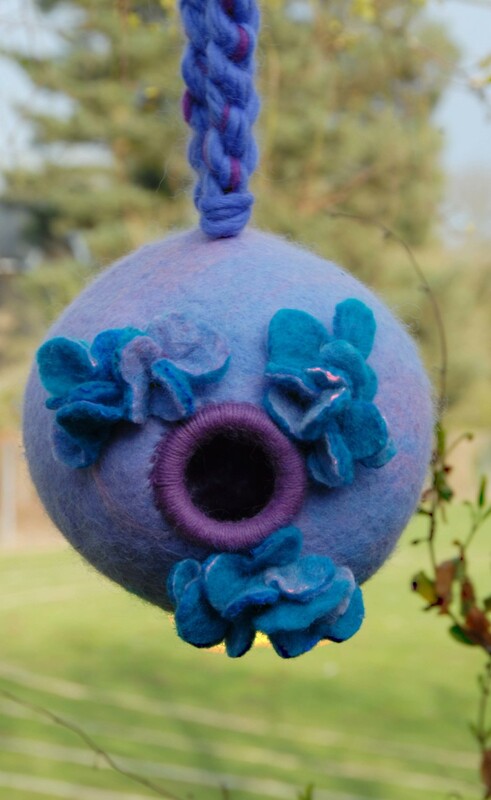 Unstuffed, it could be used to hold a gift or as a door hanging. Make one for yourself! 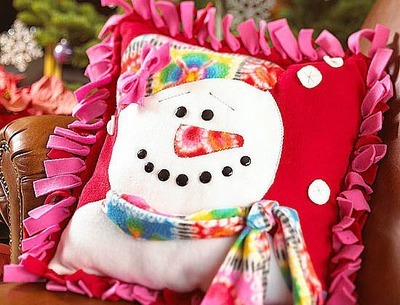 A girl, no matter what her age, would love this cuddly snow lady pillow. 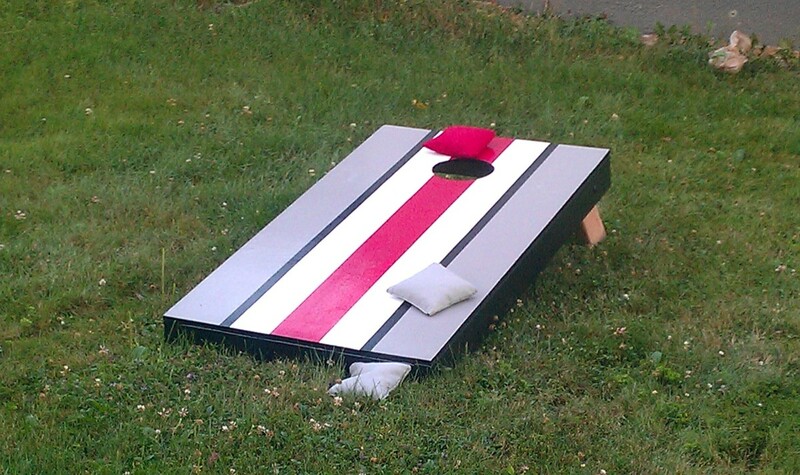 It'd be fun to play with the different colors and customize the project to match the recipient's interests and preferences! 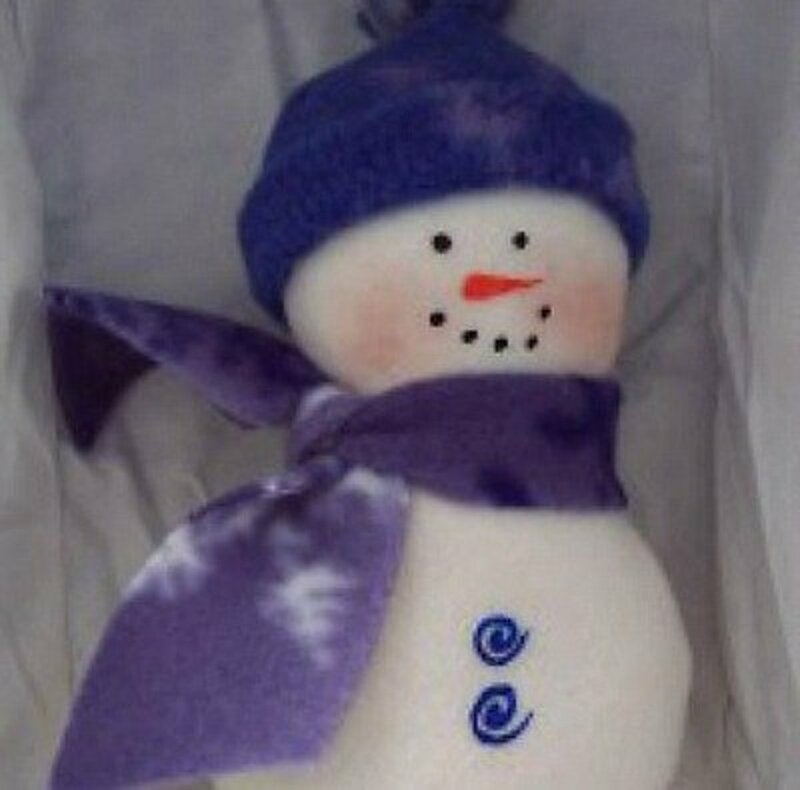 I love these fleece snowmen because they can be used throughout the winter rather than just for Christmas. This cute little snowman will be a happy addition to your festive home. 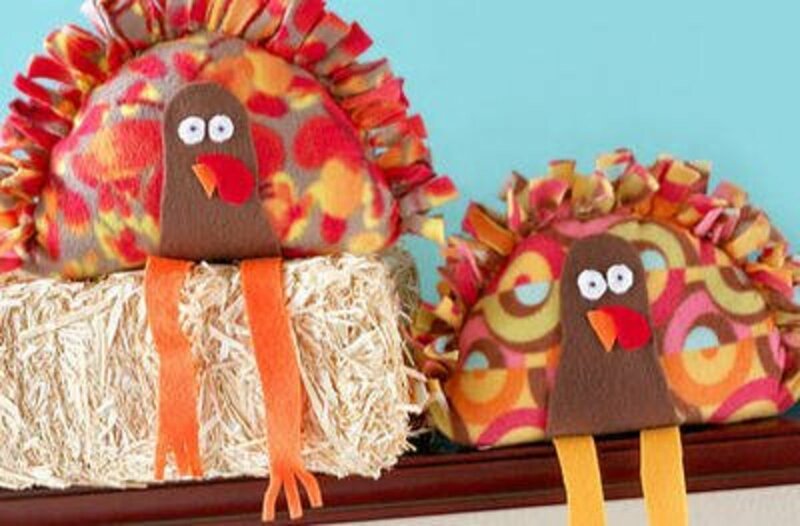 This stuffed turkey is an outstanding Thanksgiving project to do with the kids. Simply follow the straightforward instructions to have this quirky project for your home. 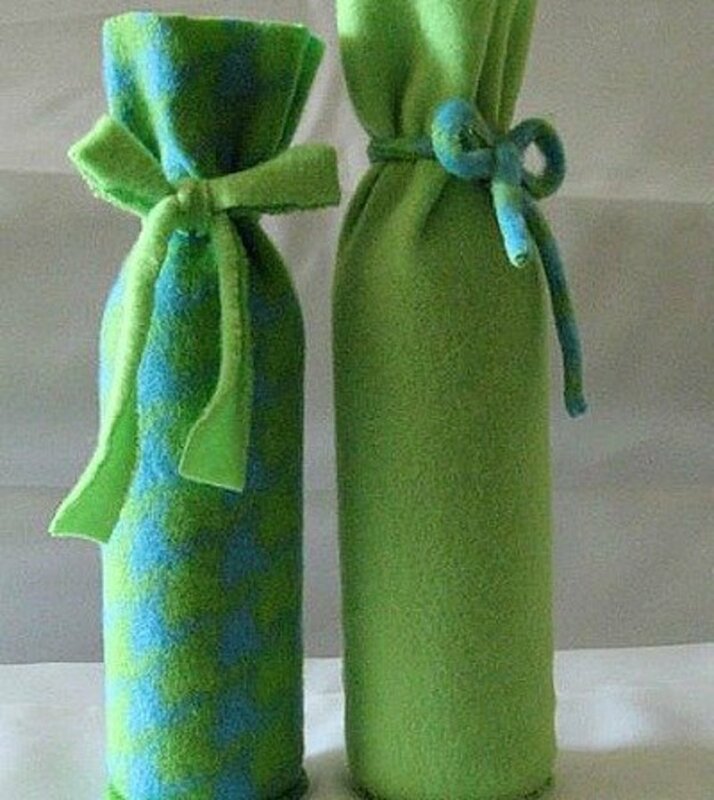 For an attractive way to present a bottle of wine, give it wrapped in a fleece gift bag. It's a nice quality bag that can be reused time and time again. 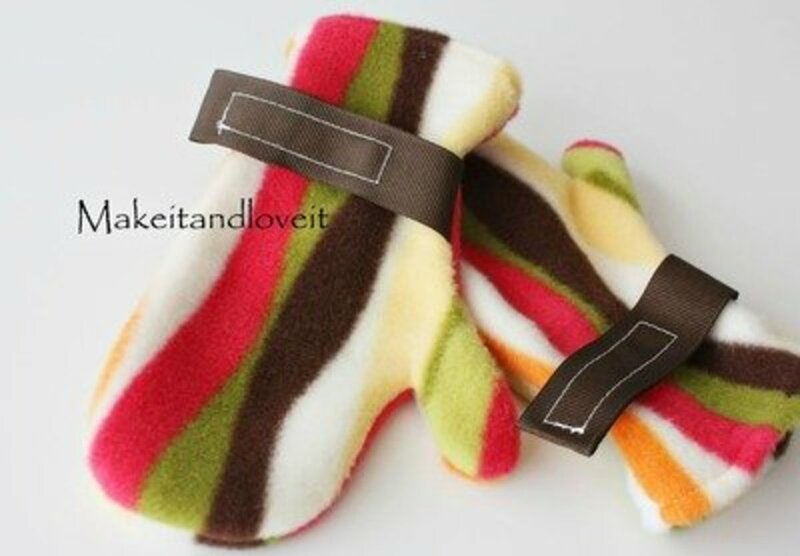 Although the outer layer of fabric on these oven mitts isn't fleece, there are two layers of fleece inside the mitt. This useful craft is a great gift, but it is also one that you'll want to make for yourself. 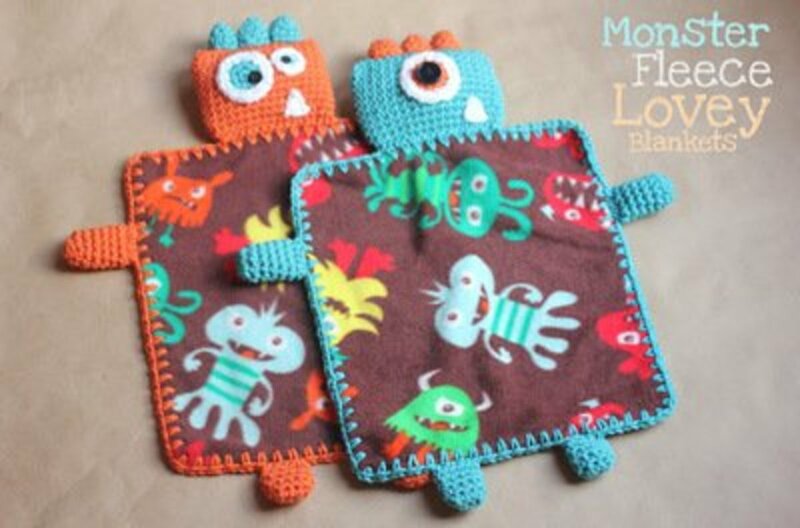 Granted, monsters aren't the first thing you think of when wanting to calm a little child, but the little ones will grab this lovey blanket at naptime. 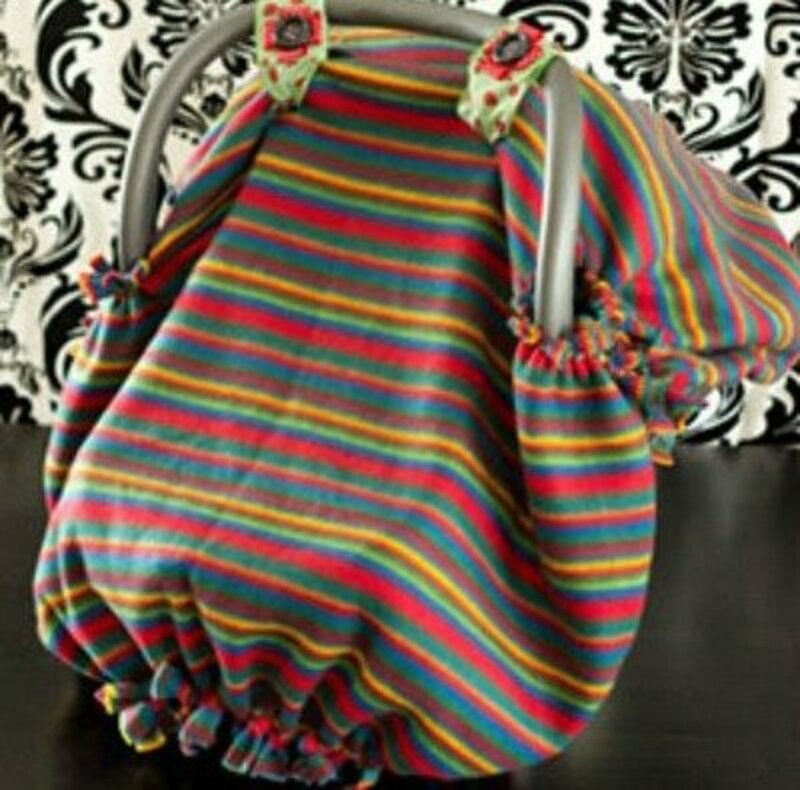 When the weather is chilly, you want to protect the baby from the cold wind while walking to or from the car. This is a very simple car seat canopy that you can make. 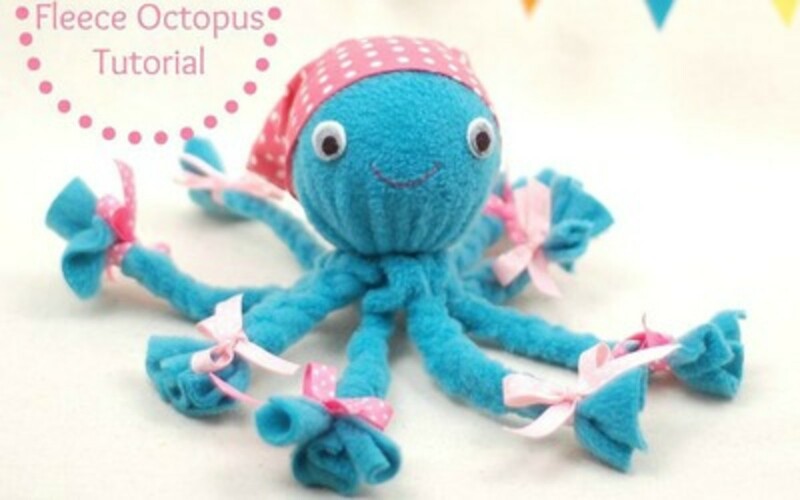 This fleece octopus is another of the no-sew projects that anyone can make. Make a few of these cuties to gift or to sell. If Grandma is wondering what she can give her grandkids for Christmas, here is a super idea. 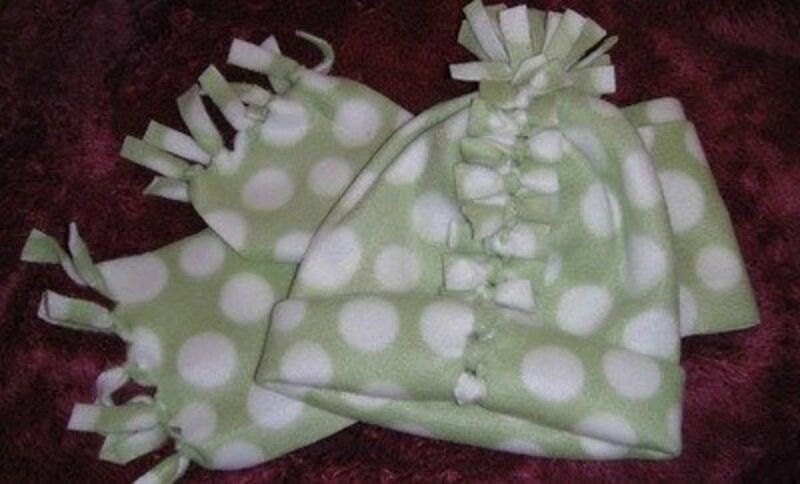 The fleece cap and scarf are no-sew projects, so it would be easy to make the set. The kids will love the fluffy cap and scarf. 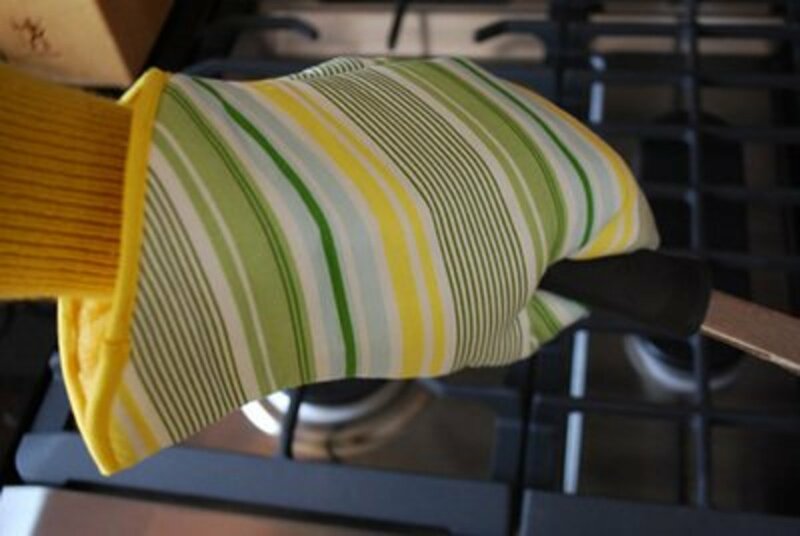 If you don't already have something you can heat in the microwave to soothe aches, make sure that this rice bag is one of the first projects you make. You'll be so glad you did. It shouldn't take long to put together. Make an iPad cozy for Dad or any guy in your life. They'll appreciate this thoughtful gift. Of course, the gals will probably want to receive this gift as well. 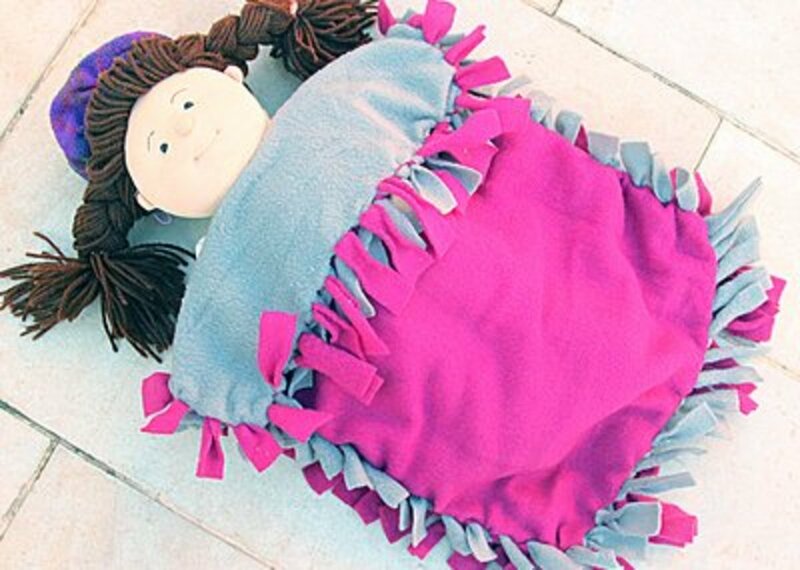 During Christmas vacation, one of my granddaughters and I plan on making this fleece doll blanket for her American Girl doll. I love a project that I can start and the girls can finish themselves. 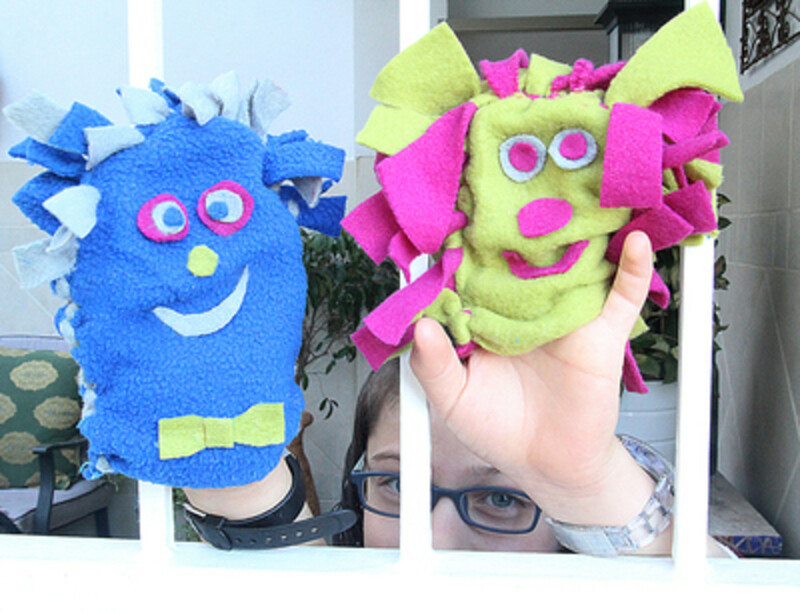 These puppet monsters scream a good time—while making them and trying them out afterward. 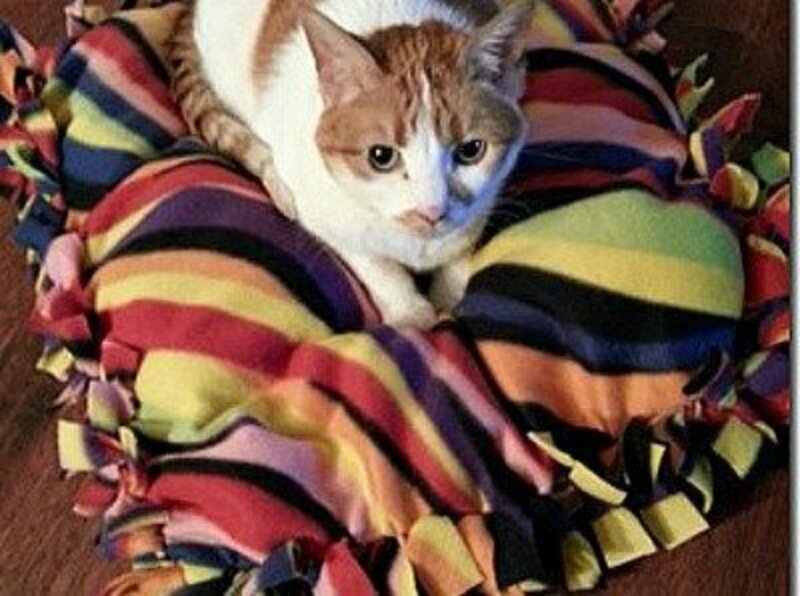 Your pet will love you for making this warm and fuzzy blanket pillow for them. It's a no-sew project, so you'll enjoy not having to break out the sewing machine! Last Christmas, I made about 35 of these ice scraper mitts for Christmas gifts. I didn't make fun cuffs like the tutorial shows—I just used the fleece. 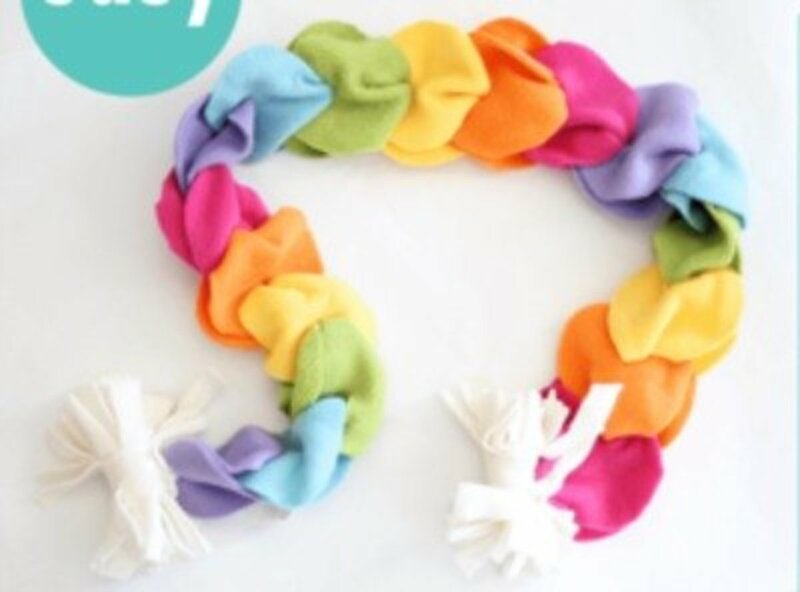 I have a couple of granddaughters who will love using up fleece scraps to make this no sew scarf. For the tutorial go to The Decorated Cookie. The really nice thing about these mittens is that they can be reversible. Get the instructions and pattern at Ikatbag. 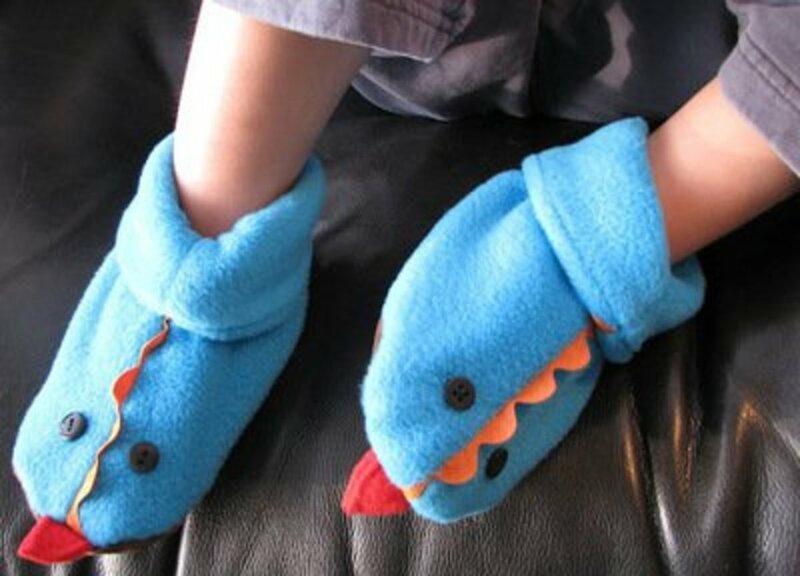 Although these are perfect for the little dragon lover in your life, if you want you can make these slippers without the dragon tongue, eyes and fins. I've seen examples of them using Rae's pattern on a blog. Find the tutorial for these slippers at Made by Rae. A perfect stocking stuffer gift for anyone on your list, especially football fans. The instructions are found at Craft Your Happiness. Fleece is an incredibly versatile material that you can use to create anything, from clothing to home decorations. It's a thick fabric that traps warmth well and is convenient to work with. Light fleeces are a great option if you want to make clothing and fun DIY projects. I like that fleece is easy to store when it's not in use. It's great to work with because it doesn't fray when you cut it. This means that sewing projects become a lot simpler—you don't need to finish the seams. Since fleece is a knit fabric, you should sew projects using it with a ballpoint needle. Do note that the stretch can vary greatly between brands and grades—the cheaper the fleece, the less stretch it offers. That means the fabrics that have less give can be sewn with a standard needle. What Are the Different Types of Fleece? 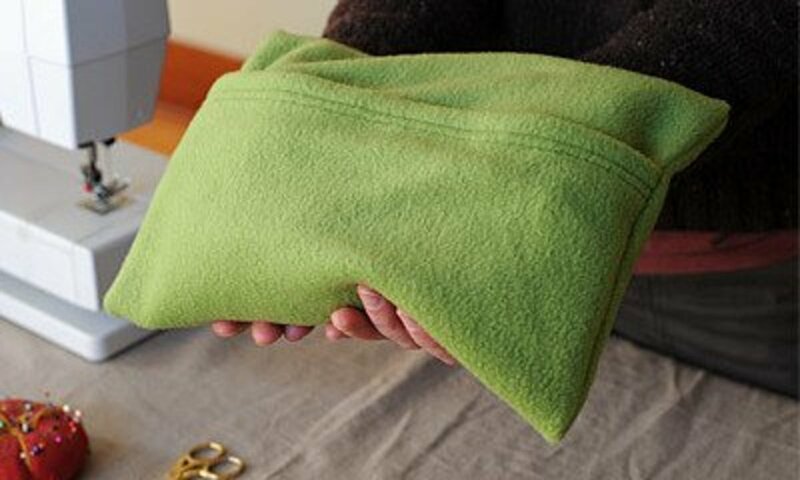 Medium-Weight Fleece: This fleece is good for no-sew projects such as tie blankets. It's categorized in two ways: anti-pill and non anti-pill. The former is typically a higher quality fabric and doesn't pill, even after a few washes. The latter is more affordable, but it often gets pills after wears and washes. Micro-Fleece: Softer and thinner than medium-weight fleece, micro-fleece is lovely to touch, and you'll find it used more for baby and children projects. If you take a closer look at this fabric, you'll notice that there is a "right" and "wrong" side to micro-fleece. One side feels wonderful with its mini fibers. While micro-fleece ends don’t fray, they can be stretched out of shape. I suggest hemming the exposed edges. Minky: The name comes from the fact that this fabric simulates the feeling of mink. As one might expect, it requires some special care. 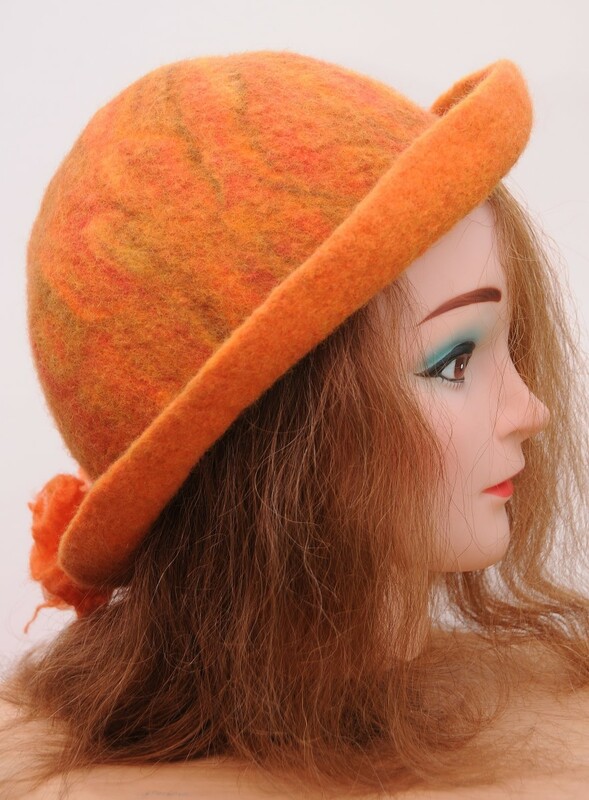 Sewing Minky can be a little hard, as it can slide under the needle easily. 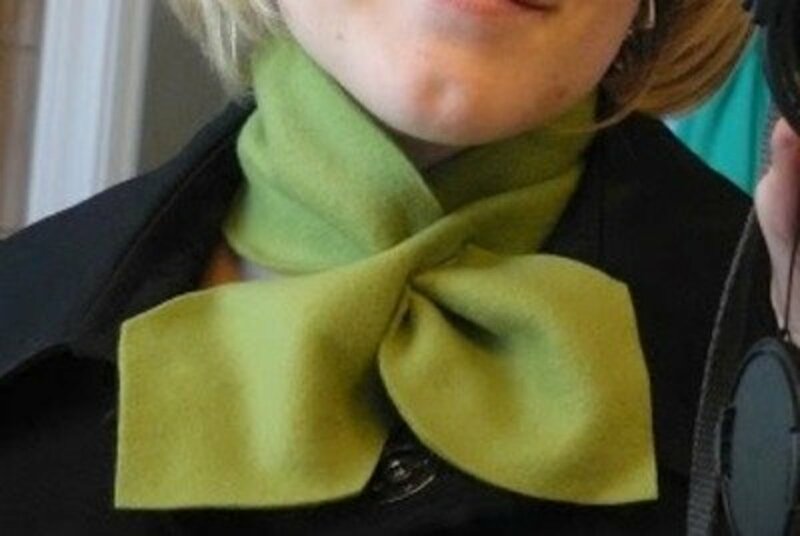 The edges can ruffle and lose their shape, so I recommend finishing them. Make sure to never wash it in warm water or dry it on high heat, as those processes will strip Minky of its signature softness. Coral Fleece: This fleece is closely related to Minky fleece because it has a more fur-like texture. The edges need to be finished so that it won’t stretch too much in the washer. Jersey Fleece: This fleece is made from cotton (or a cotton blend). It has more stretch to it than medium-weight fleece. The reason for this is that the latter is made entirely from polyester. 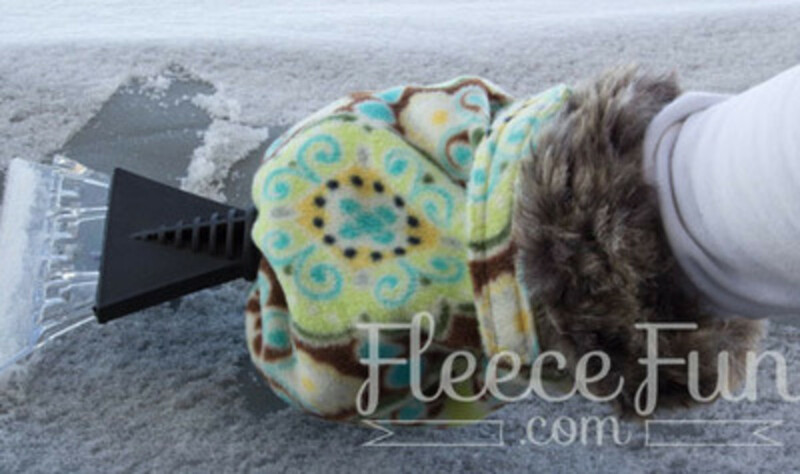 There is a "right" and "wrong" side to fleece. Try stitching to decorate. Fleece isn’t the best material to anchor appliques or other embellishments, so it’s a wonderful chance to use the decorative stitches on your sewing machine. Fleece typically doesn't fray. This means that finishing seams is usually unnecessary. This does depend on the type of fleece you use. Eliminate the bulk. The fabric is bulky, so keep an eye out for ways to reduce the heaviness when you're sewing with it. Trim the outer layers of the fabric close to the stitch line. Choose a ballpoint needle. It's designed for working with knit fabrics and has a rounded tip. The end slides between the tiny loops that make up the fabric rather than piercing them as a pointed needle would. Pointed needles can cause holes to develop along the seams if the fibers are damaged to the point of breaking. This is why utilizing a ballpoint needle can extend the life of your project. Fleece is the enemy of blades. While you need to use blades such as scissors and sharp objects like needles to finagle the fabric into place, fleece is hard on them. Make sure to use a new machine needle, typically Microtex or ballpoint, and clean your scissor blades of fiber remnants with a little alcohol. Invest in quality. Use a good-quality polyester thread and sew using a larger stitch length to put your projects together. The stitch should be between 3mm and 5mm. A straight stitch will suffice for most projects, but I suggest using a small zigzag stitch for areas that will be used or moved more often, such as armpit holes. Think about the situation. Fleece doesn't hold a crease, so find ways to work with it and contain seam allowances and hems. Take "nap" into consideration with yardage. Fleece has no real grain, but its surface has a brushed look that moves in one direction. Because of this feature, remember to use "with nap" yardage requirements and arrange your pattern in one direction. What Fleece Projects Will You Learn to Do Today? Are They Super Easy? 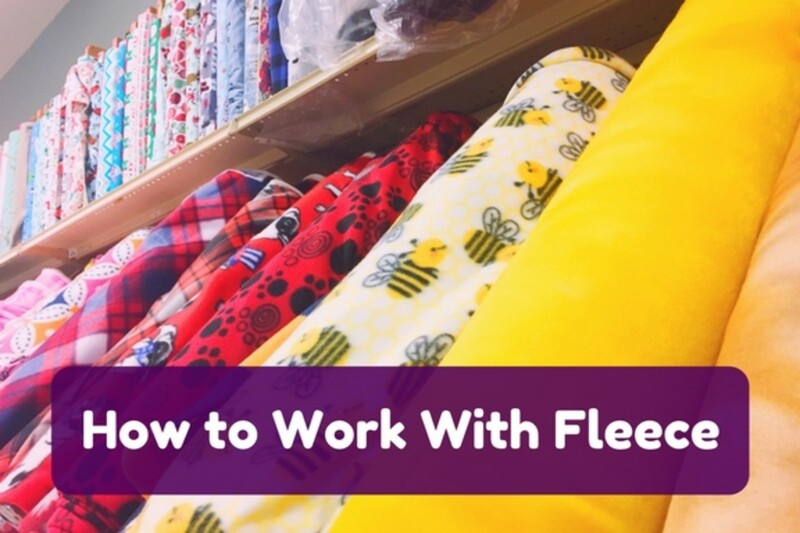 For fast and easy craft projects, I definitely recommend using fleece. One of the really great things about using fleece is that the edges don’t unravel. Therefore, you can make beautiful crafts, both sew and no-sew, without having to spend time hemming and finishing the seams. 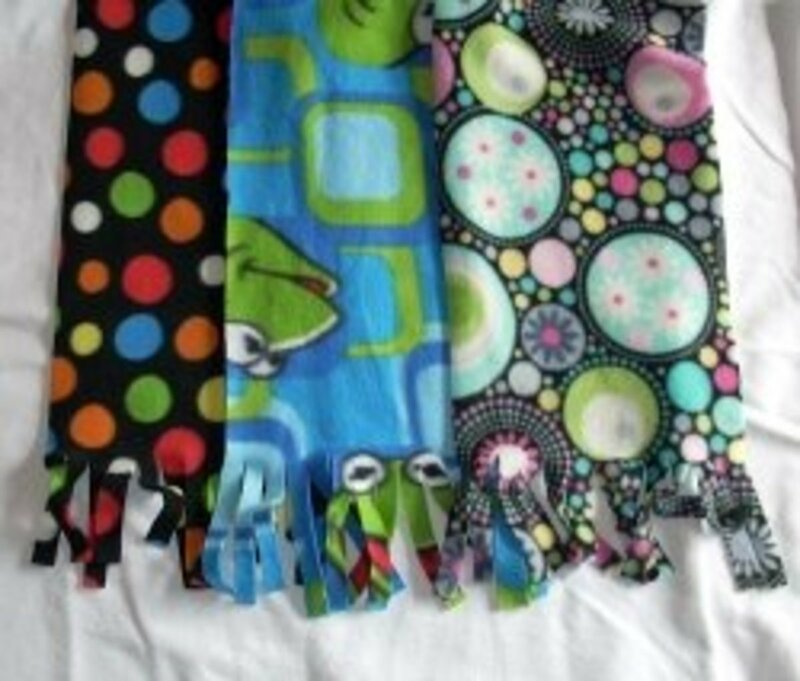 It's super easy to use, making it a great fabric for kids, teenagers, and adults alike. Where can I find the pattern for the cardigan? When you read the blog about the fleece cardigan, the author includes a link to a page that shows how she made the cardigan with a knit fabric. She used that pattern when she made her fleece cardigan. She has a great pictured step-by-step tutorial. I just saw the post for pet pillows, I made my own version this winter for my dog,Harley. He loves them. Awesome home decoration and fashion ideas. This is so cute! I love it. Great ideas. I loved your ideas, thanks for sharing them. My Late Grandma would've loved every item listed here. They are so vibrant, fun, cute, unique and I dig it!